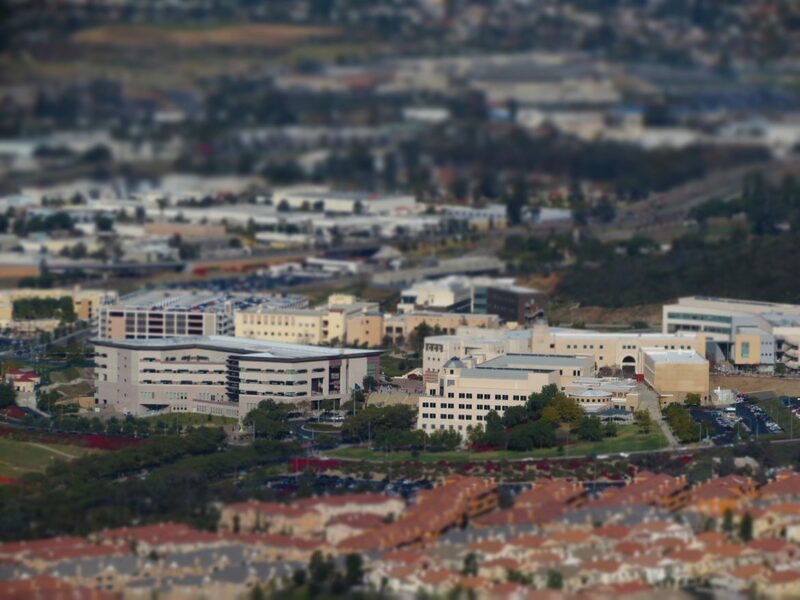 California State University San Marcos is one of 23 campuses in the California State University system, founded as the 20th campus in 1989 and still the only four-year comprehensive public university in San Diego’s north county region. It is an Hispanic Serving Institution (27% of our students are Hispanic), and an Asian American, Native American, Pacific Islander serving institution (more than 10% of our students fall into this category). CSUSM’s student composition reflects the demographics of the region it serves; 50% of its students are students of color, and 40% of its graduates are the first in their families to earn a college degree. The region that CSUSM serves is comprised of multiple cities and communities that straddle three counties and merge together to form one large, diverse, eclectic macro community that recognizes CSUSM as central to its economic vitality and social, cultural, and educational viability. Similarly, CSUSM recognizes that the community is central to its economic stability, and is key to helping the university advance its goals of serving—indeed transforming—the region. As one of five overarching university priorities, community engagement is inherent in and informs the other four: academic excellence, educational equity, student life, and campus climate. Institutionalizing the priority of community engagement began in 2006 with the appointment of an advocate to the role, who focused on strategically identifying and building university partnerships with the community. By 2008, this role grew into an associate vice presidency for community engagement. In 2011, the president appointed the first vice president for community engagement in the CSU and dedicated an entire division of Community Engagement to ensuring that engagement is fully institutionalized across all segments and sectors of the university—including all students, faculty, and staff—and that the community is at the center of everything Cal State San Marcos does. Through the division of Community Engagement, CSUSM reaches out intentionally and strategically to all the communities we serve, from underrepresented students in K-12 regional schools to tribal neighbors to military establishments to health organizations to the business community so as to connect the University to the larger community in every productive way possible, including the service learning/civic engagement activities of our students and the engaged scholarship of our faculty. We are unaware of any other such position or division in the country that takes such a holistic approach to community engagement. California State University San Marcos is fully committed to community-based participatory research, teaching and service. The faculty research activities focus on community issues, civic engagement, and service-oriented learning in in mutually beneficial partnerships and initiatives with the community. Through the Office of Faculty Engagement, the division offers Incentive Grants for Engagement Scholarship to further encourage and celebrate community-engaged scholarship on our campus. In addition, the Academic Senate has appointed a Community Engagement Faculty Advisory Committee that ensures strategic linkages between faculty and community via engaged research and scholarship opportunities. An integral part of Community Engagement is the Office of Civic Engagement at CSUSM, which includes a variety of programs that contribute to the public good by designing service projects that meet the most pressing needs of our community while also provide powerful learning opportunities for those involved. These programs include service learning, volunteerism, and alternative break trips. Through its nationally-acclaimed Community Service Learning program, nearly 3,500 CSUSM students annually log over 160,000 hours of community service. CSUSM earned the Carnegie Foundation’s Elective Classification in Community Engagement in the 2006 inaugural year of the designation, receiving it in both categories of Curricular Engagement and Outreach and Partnership. And, for multiple years, CSUSM has been named to the President’s Higher Education Community Service Honor Roll, the highest federal recognition a college or university can receive for its commitment to volunteering, service-learning, and civic engagement. CSUSM is an institutional member of the Engagement Scholarship Consortium, Campus Compact, and the Talloires Network.